A group of Mansfield ISD seventh-graders has been recognized by the Duke University Talent Identification Program (Duke TIP) for high scores on the ACT or SAT college entrance exams. 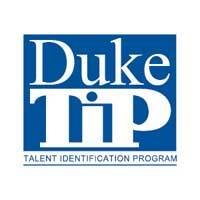 Duke TIP's Seventh Grade Talent Search is the largest program of its kind in the nation and identifies academically talented seventh-graders based on standardized test scores achieved while attending elementary or middle school. Seven MISD middle school students earned the State Recognition distinction, meaning they scored at or above the national average of recent high school graduates on at least one part of the ACT or the SAT. Students qualify for the Seventh Grade Talent Search by scoring at or above the 95th percentile on a grade-level standardized test. Enrollment provides benefits that last through the end of high school, including the opportunity to take the ACT or SAT, specialized publications, college prep advice and access to educational programs.